이제는 혼자 와야한다 잘하자 영운아 복귀하고 첫 개인활동이다 그만큼 중요하고 노력했다 이제 내가 날 다시 찾자 이제는 앞으로 가자 내 등 뒤엔 벽이다 큰걸음으로 성큼성큼가보자 아자! [TRANS] Now I have to come alone(.) Do well(,) Youngwoon-ah(!) It’s my comeback and my first personal activity(.) I’ve worked hard as much as it is important(.) Now(,) I have to find myself once again(.) Now(,) let’s move forward(.) It is a wall behind my back(.) With big steps(,) let’s try to stride on(,) aja! TAKE OUT WITH FULL PROPER CREDITS. 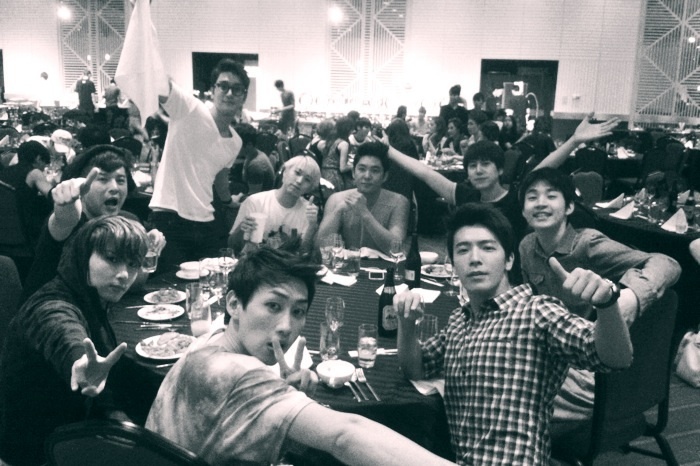 We are Super Junior !! I  SJ Thank’s Japan !! Good night !! PLEASE DO NOT TAKE OUT DOWNLOAD LINKS WITHOUT PERMISSION!